FOI REQ 14 what’s in your backyard? | What Lies Beneath Rattlechain Lagoon? What Lies Beneath Rattlechain Lagoon? | FOI REQ 14 what’s in your backyard? 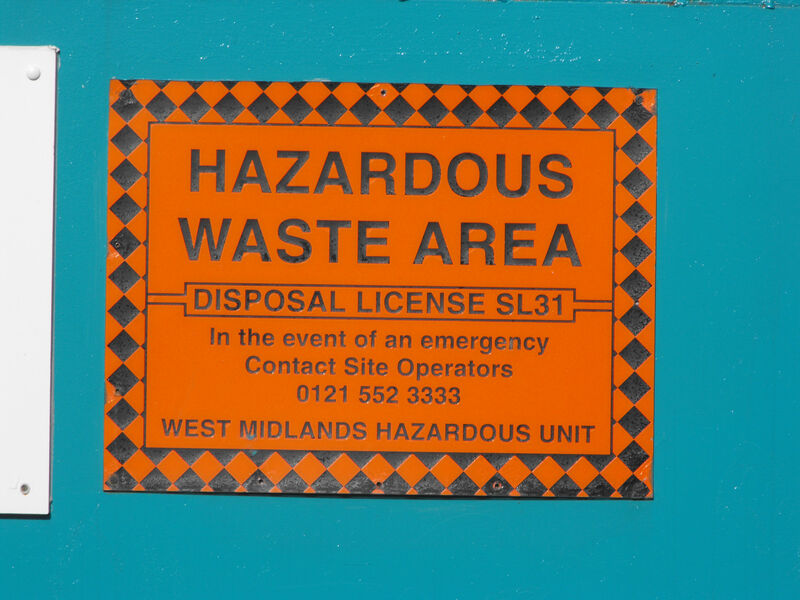 Hazardous waste – This is waste that may be harmful to human health or the environment e.g. asbestos, chemicals, healthcare waste, electrical equipment, lead-acid batteries, oily sludges and pesticides. Non-hazardous waste – This may include municipal waste, general office waste and catering waste. It was with some surprise however that when returning to this page on the EA website, the field of waste type “hazardous” appeared to have disappeared. We were not the only ones to have noticed this, as this excellent blog summarises. What we now get on clicking for information concerning the lagoon site is no description but a DATA waste code of “A7 industrial waste landfill (factory curtilage)”- without any meaningful description of the risk or the waste type. We wanted to know why people were no longer able to see what was in their backyard and why the EA had deleted the data from their website. landfill GIS layers had changed during 2012. It appears that the data field describing the type of landfill site (hazardous, non hazardous and inert) was inadvertently omitted. We are reinstating a description field which enables us to describe the type of landfill dependent on whether it is a former waste management licence (and should not be accepting waste) or is a Landfill Directive compliant landfill (and is able to operate). This will clarify to our customers whether an authorised landfill is able to accept waste or not. We were not satisfied by the response as it did not really explain why the data had been removed- they stated that it had been “inadvertently omitted.”- which implies that they had some initial reason for deleting/updating the data it in the first place but why? “I would therefore seek the following information within the framework of my original request for recorded information or explanation as part of this review. 1. 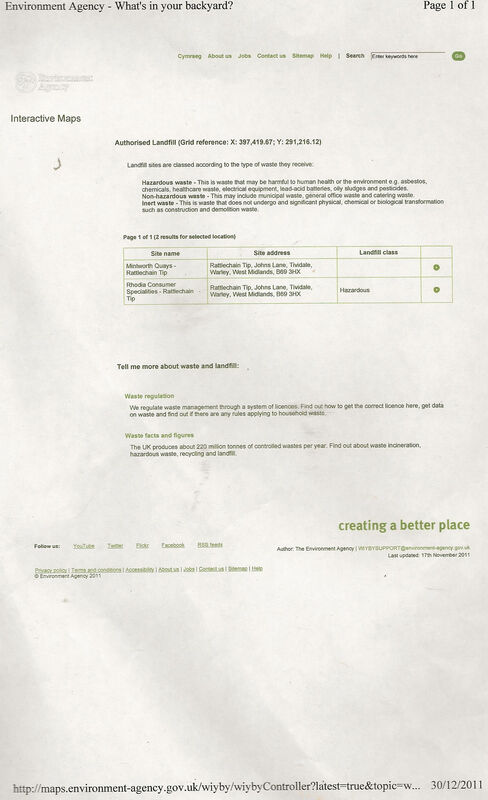 Any minutes or emails when it became apparent to those controlling the EA website as to when the information relating to the three waste types had been “inadvertantly omitted” or removed. obviously has been for some purpose. 3. The cost of reinstating this information into the WIYBY database. 4. Any recorded information you hold regarding if there has been any internal investigation as to why this data was “inadvertantly omitted” and if any disciplinary action has resulted from this. We have conducted an internal review which has concluded that the response made on 22 October 2013 did not address all the elements of your request. We did not refer to your queries about how the data came to be removed from WIYBY nor did we refer to any decision-making process leading to the change. We did confirm that the decision made to remove some of the information was incorrect, and we stated that we didn’t act quickly enough to provide a replacement data field which led to deterioration in our service between July and October 2013. In July 2013 the issue of incomplete records in certain data fields e.g. landfill site type description was discussed and it was agreed between the web team and the Data Custodian that this field would be removed and replaced. We failed to ensure continuity of service, in that the replacement field was not uploaded until after we received your email. This meant that the quarterly data updates to WIYBY, provided in July, did not include the new data field. This has now been corrected and the new field has been provided. The failure can be traced to poor communication between the team that provides the web update and the Data Custodian. 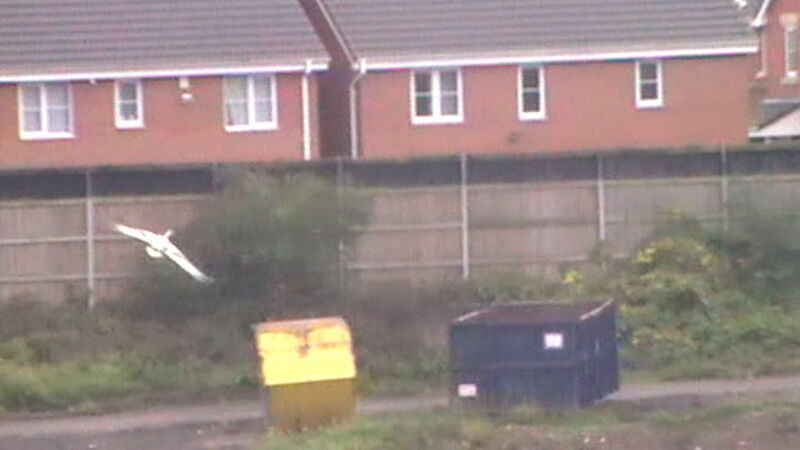 Following your query of 3 October 2013 the Data Custodian arranged for the webteam to replace the missing field with improved data which now describes a landfill site type for the majority of records. This was rectified in November. The remaining records with incomplete data will be updated in early 2014. This work is being done to address the initial issue of incomplete records from the original data field displayed. Procedures are now in place to ensure this situation does not arise in the future and the Data Custodian will continue to check that the new data field is uploaded for at least the next two quarterly updates. The web team has been made aware of your feedback as a customer and they now have a better understanding of the need to ensure we make available all the data supplied to them by the Data Custodian. We enclose copies of emails between 10th and 30th October 2013 following your request, which show the actions taken to re-instate the data. The removal of the data was not due to hacking or any outside influence. The cost of providing a replacement field is estimated at between £30-50. This is the data officer time to insert a new field into the data update. The data not displayed is still available and we will provide it on request if required. However, the field is not complete for all records and we feel that the current data field provides more information to the customer. Having looked at the emails, which do add to the understanding of the missing data, there is the remaining question as to why the existing data was removed in the first instance, if it were the case that not all of the waste classifications had been inputted. The EA internal codes used are of no use at all- even with their added descriptions. These are summarised below. These set of criteria have to be questioned relating to their accuracy of designation, especially for historic landfill sites that were operational before 1974 site licensing that were receiving unknown and unquantified waste types. Rattlechain lagoon could be classed as “a lagoon”, but on the other hand it also took “special waste” needed to be stored under water. It seems the agency has made more problems for itself by introducing such a range of landfill sites, that ultimately may not be as accurate a description as the original 3 landfill types introduced by The Landfill Directive. We think the description of this landfill site as “A7” offers a grossly misleading presentation of the type of waste present here. In fact we think it is a fraud. Additionally, the omission of the original data could be misused when it comes to brownfield site redevelopment and the current regime of relaxing the planning laws to allow this. The offer of data “on request” is sketchy, and it appears that those who want to build houses and backyards contained on contaminated hazardous waste landfill sites now have less public scrutiny than they had before when the environment agency starts to muddy the waters of the sites historic tipping operations. 2 Responses to FOI REQ 14 what’s in your backyard? Why won’t the Environment Agency simply make available on-line a copy of the Environmental Permit or Waste Management Licence that the company is supposed to operate under, so that anyone can see the full extent of what is permitted and what is not. The public can then have readily available to them the information to request that the Environment Agency to investigate if any suspicion of wrongdoing is raised – the public would be able to act as monitoring and reporting staff. Good question Tim. The simple answer is the EA make money out of public enquiries using the existing public register. You can get the permit number, but the actual detail is only available by contacting them for the information. This Information in itself will be stored with your details against it as requesting it. It would be much more transparent if as you say, the whole info was just uploaded directly. This however does not take into account the changing licence/permit over time. If waste is no longer accepted, that does not negate the risk of the waste that was once dumped there. This is where future developers, residents, environmentalists are totally in the dark. The information appears currently to be one of privilege.